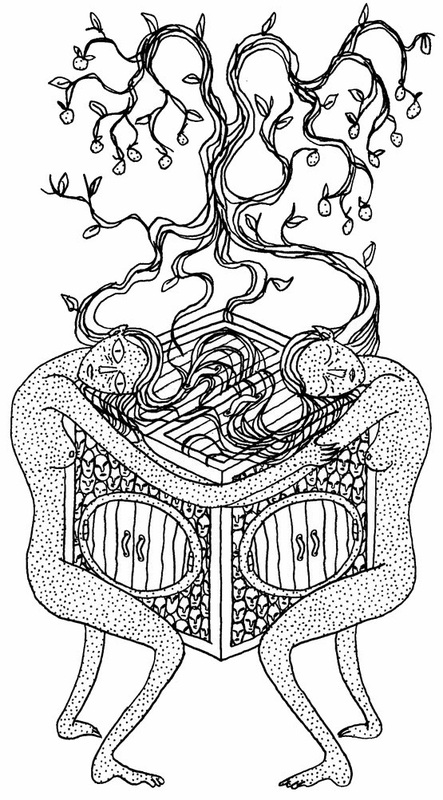 Two dryads bound to a treasure chest crafted from the remains of their three. I don't know what the chest contain or how it work. I wonder what it dryads or it fruits does when you taste them. 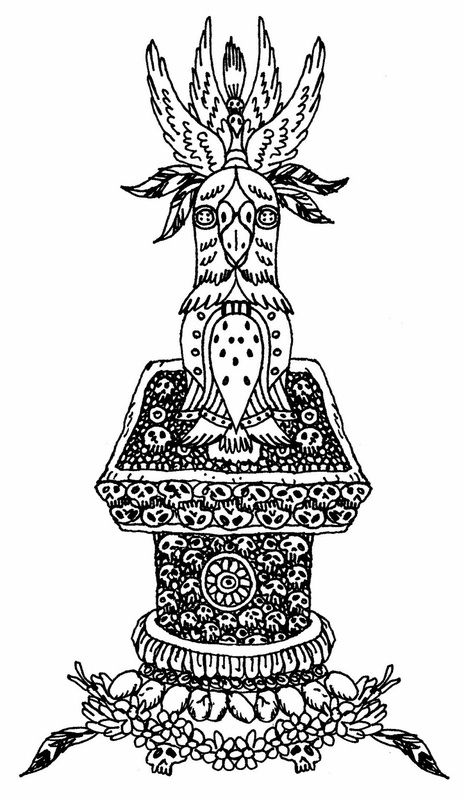 But you can find quite interesting lore on Timinits & Trolls. 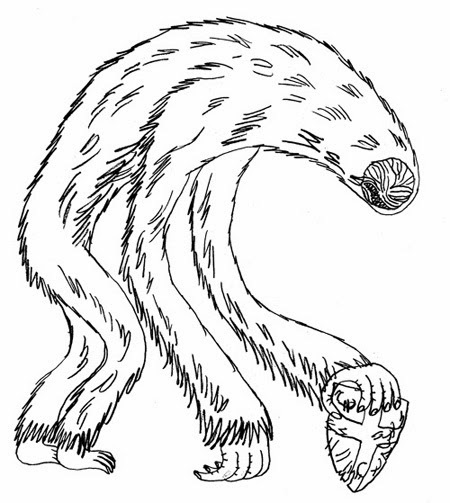 When a shaman dream in the mountains, they can dream they are a wild beast and walk the land as a yeti. 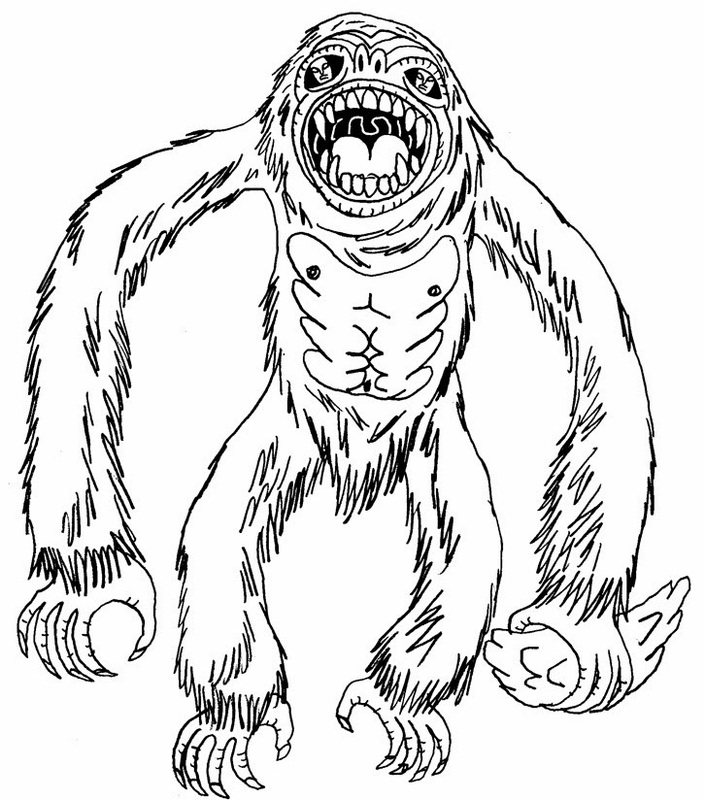 Snow elf Sorcerers can create and project themself (or others) into yeti homonculus (or golems). A yeti with a face twisted by the frozen winds of the mountains. Maybe a frostbite victim that turned into a yeti or a maybe a very very old yeti. it does not mimic voices. Fungus armors paladin and mercenary. Inspired from The Wonderful World Of Symbotic Armour, Fungus. 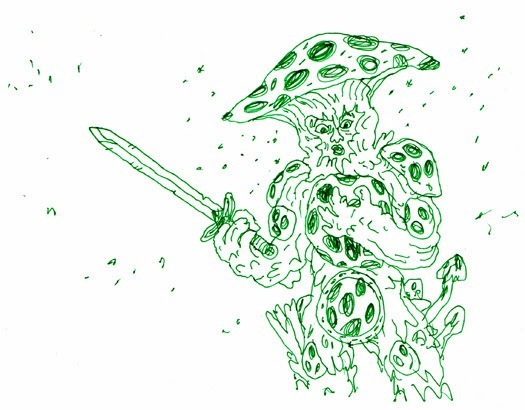 The Order of the Holy Spores: paladins who wear fungus armors and who smoke holy stuff that protect them from breathing too much spores. Some poor mercenary who have problem with his fungus armor. Just some doodles I made in my note book while going to work. I am posting them to encourage myself to post again here. 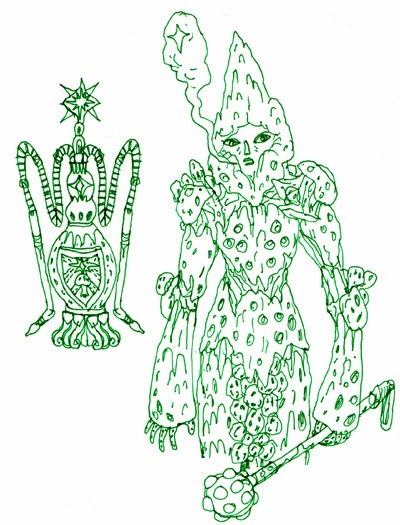 Naturally they are inspired from the Vornheim's hollow birdes, but those are filled inside with force draining negative energy and they drain people lifeforce when they open their dresses.